Electronic Benefits Transfer (EBT) is an electronic system that allows a recipient to authorize the transfer of their government benefits from a Federal account to a retailer account to pay for products received. 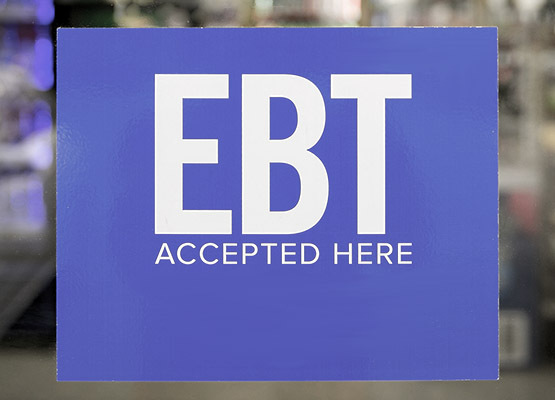 EBT is used in all 50 States, the District of Columbia, Puerto Rico, the Virgin Islands, and Guam and has been implemented in all States since June 2004. Electronic Benefits Transfer (EBT) is a federally funded payment option used to distribute funds from the Supplemental Nutrition Assistance Program (SNAP) and the Special Supplemental Nutrition Program for Women, Infants, and Children (WIC), among others. Some people still refer to EBT as “food stamps” but the name was officially changed in 2008. Each participant receives an EBT card that is similar to a debit card that can be used at the same payment terminal as credit, debit, and gift cards, provided the merchant and payment solution support it. Retailers interested in implementing EBT acceptance may be looking for an additional customer base and revenue stream. These are good reasons, to be sure, but another great reason is the need for access. According to the Journal of Public Health Management and Practice, more than 23 million Americans have limited access to grocery stores. Healthy food initiatives have been emerging to address the gaps, but if your shop provides access to staple foods, you may be an oasis in a potential food desert. By expanding your payment acceptance to include EBT, you are providing just one more staple food access point to those in need. Merchants who are interested in accepting EBT need to check their eligibility and apply. When a merchant begins accepting EBT they are responsible to mark certain items in their inventory as EBT eligible. The amount of the EBT tender cannot exceed the summed purchase amount of EBT eligible items on the transaction. Items purchased on EBT are not taxable and each year the EBT processor will submit the total amount of EBT purchases on behalf of the merchant to the IRS. A great place to start when researching if your business is right for EBT is the SNAP retailer data published by the Food and Nutrition Service (FSN). It details the types of merchants that currently accept SNAP benefits and how much those types of merchants process annually. Overall the implementation at the point of sale is straightforward and can provide an additional revenue stream to your food retail business. The proposed federal budget for 2019 includes some notable changes to Supplemental Nutrition Assistance Program (SNAP) benefits. This may have food retailers wondering what will change for them or questioning whether they should seek to implement the program if they do not already support it. Specifically, there is a push to provide USDA Harvest Boxes alongside the traditional SNAP program. The proposed budget allots $73.2B for SNAP and $5.8B for WIC. However, some estimates indicate that Harvest Boxes would consume up to half of the available SNAP funds. This would leave significantly less flexibility for SNAP participants to choose what products to select. Subsequently, this could have an impact on how much business merchants see transacting on Electronic Benefits Transfer (EBT) cards. You can find a summary of the budget proposal here. It is important to remember that there is a long way to go before this proposed budget becomes reality. According to the proposal, the SNAP monthly membership is estimated to be at over 40 million in 2019. Clearly, there is a need to provide assistance through EBT and it isn’t going away, despite changing budgets and implementation details. The Food and Nutrition Service (FSN) publishes a yearly overview of the number of participants and total cost which you can see here. In addition, a heavy criticism of the Harvest Boxes program is that it wouldn’t provide fresh fruits and vegetables. There will be further debate and the exact amount of SNAP benefits distributed through traditional EBT cards is not yet determined. If you have done your research and are interested in moving forward to implement acceptance of EBT in your retail location, New West Technologies has merchant services options available for Microsoft Dynamics and Retail Management Hero that can incorporate this payment option. Contact our sales team today to discuss what option is best for your environment. Jonathan Fleming is the Director of Software Development at New West Technologies, Inc. He earned his master’s degree in Computer Science from Oregon Health and Science University and has experience in the aeronautical, healthcare, and point of sale industries. Jonathan has led the development efforts on over 25 payment integrations and countless more point of sale products and customizations. His passion is finding simple and sustainable solutions to complex business problems.